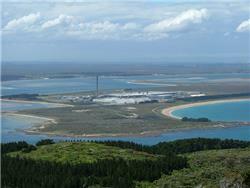 Higher global aluminium prices have underpinned a tripling of underlying profit to $75 million for New Zealand Aluminium Smelter (NZAS), at its smelter in Bluff. The Rio Tinto-controlled smelter made a statutory loss of $18 M for its full year to December, but after adjusting for taxes, its underlying profit was $75 M, up from $25 M the previous year. Outgoing NZAS chief executive Gretta Stephens said consistently higher aluminium prices during the year delivered the more favourable result for Rio Tinto. “This is a pleasing result and has given NZAS the ability to look more confidently to a commercially sustainable future,” Ms Stephens said. Metal prices were almost 23% higher on average in 2017 than in 2016, which more than offset the effect of large increases in major raw material prices through 2017, she said. In May Ms Stephens announced a new more than four year electricity deal with Meridian Energy, contracting an extra 50 MW of power to reopen a 22-year-old fourth pot line, which was mothballed six years ago. NZAS uses about 13% of the country's electricity output. “Having secured a power arrangement that enables us to restart our quarter potline Line 4, the team is hard at work on the restart project,” Ms Stephens said. The potline was expected to be operational by the end of the year and was expected to boost overall aluminium production by 9%. In 2017 the smelter produced 337,016 tonnes of metal, 0.5% less than 2016. However, Ms Stephens cautioned that predictions for aluminium market in 2018 were for price volatility, to which NZAS was vulnerable, and movements in the New Zealand dollar against the US dollar. “This is because we continue to pay one of the highest prices for delivered power for a smelter anywhere in the world,” she said. She noted NZAS' 2017 transmission costs of $72 M for the calendar year were just $3 M less than NZAS' underlying profit. 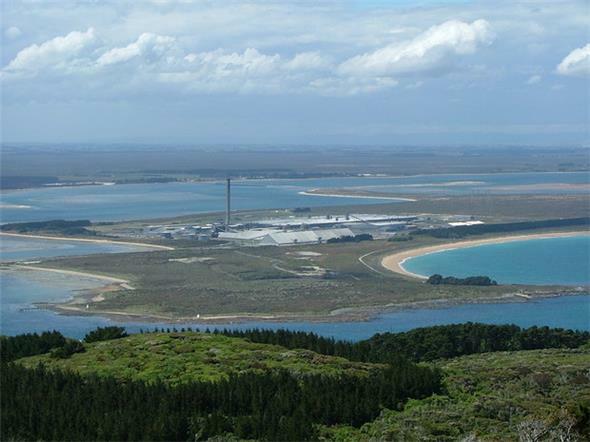 “Unfortunately an unintended consequence of restarting Line 4 is that NZAS transmission costs will increase by around another $6 M per year despite there being no change in the transmission infrastructure the smelter uses,” Ms Stephens said.